In this area of Scotland, otherwise known as Speyside, you can happily visit a huge assortment of working distilleries. Even as you drive through the villages you will pass distilleries not open to the public, but Dallas Dhu fell silent in 1983 and hasn't returned since. Unlike many other famous names from the deceased list of distilleries, the location has not been redeveloped into some modern godforsaken pointless outlet, or divided up into luxury apartments. 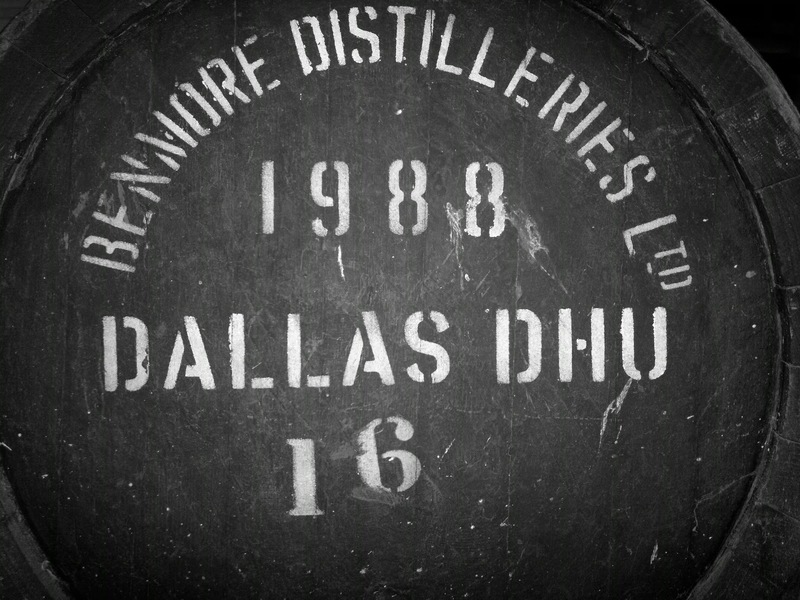 Built in 1900 at the tail end of a whisky boom, Dallas Dhu it seemed was always up against it, with lowering demand and a variable water supply that eventually killed it off. 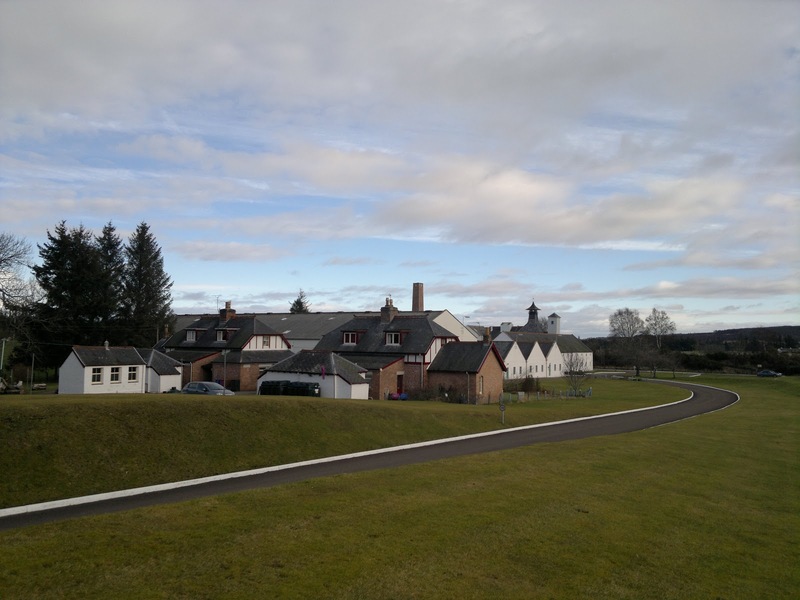 However thanks to the efforts of Historic Scotland you can visit one of the last distilleries to be built and the only one preserved in its Victorian form, albeit with some electrical modifications from the 1970's, which look ancient today. We were fortunate when visiting as the distillery wasn't busy so we could spend additional time in each area. 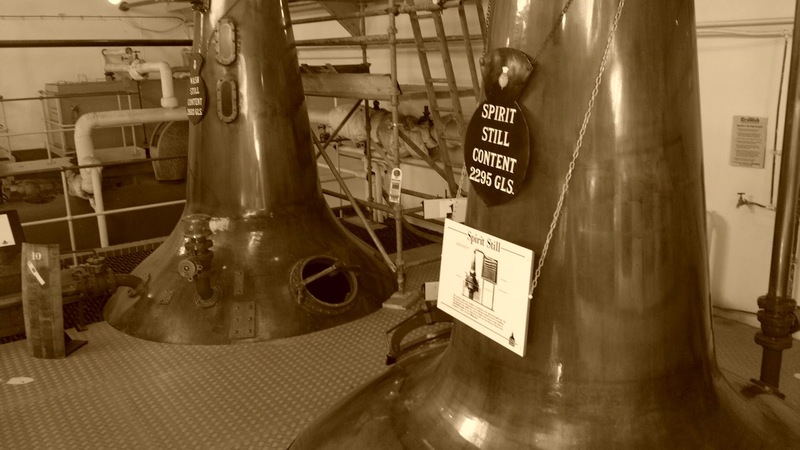 With only your audio guide you can take the tour at your own pace and as the distillery is no longer working, you can actually get up close and hands on with the machinery itself. Dallas Dhu may have fallen silent but it lives on and is a refreshing and worthwhile journey into the past. For once the Historic Scotland entry fee is justified. This grants you access to the whole distillery along with an audio guide that you can utilise as specific numbered points to reveal the inner workings of Dallas Dhu. The guide takes you through each stage of the whisky process, from the initial arrival of the raw produce, to how the men worked hard with all the manual elements required. There's no replacement for sheer brute force and while today's distilleries are almost fully automated with at most one, or two men. You can appreciate that life at Dallas Dhu was somewhat more physical. The distillery is wonderfully maintained, as we were prompt visiting at 0930 it had an eerie, deserted quality that somehow matched its mothballed status. Visiting so many distilleries these are lively places, full of the sound of machinery and the heat of the stills. Dallas Dhu is the opposite yet it does allow you the unique opportunity to look into a still and venture into areas normally closed off. 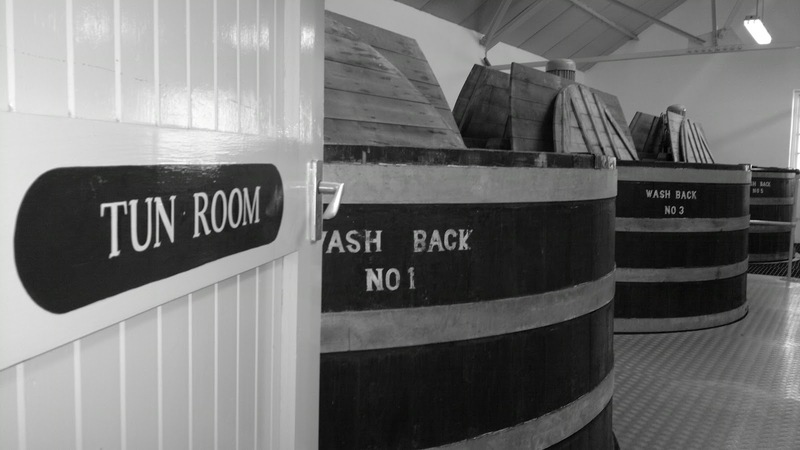 Spare a moment to take in the wall writing where the casks were filled, as here scribbled on the wall in marker are the details of the last ever Dallas Dhu cask and those who were sadly present. At the end of the tour there's a short film in the comfortable lounge about whisky and the chance to sample the dwindling Dallas Dhu malt. The ticket price only grants you a taste of the Roderick Dhu blended whisky, which is mainly based on the Dallas Dhu malt and specially bottled by Historic Scotland. It's actually a very drinkable blend much to my surprise, refined and plesant, confirming why it was so popular and can only be bought by visiting the distillery. The well stocked shop also offers the opportunity to purchase one of the few remaining Dallas Dhu malts from 1982, at £80 it's a slice of history worth owning, or the smaller bottle for £41. So there you have it, a wonderful alternative for those visiting Speyside. This was a real highlight of my recent visit, as ever the complete set of photographs are here to view, with around a hundred taken this will hopefully give you a sense of Dallas Dhu. Try out the slideshow option and sit back with a dram!